March 25, 2019 marks the 366th anniversary of the establishment of the Benedictines of Perpetual Adoration of the Most Holy Sacrament of the Altar by Catherine Mectilde de Bar. New monasteries come to birth, and develop, and thrive within the Body of Christ, the Church, and under the care of her bishops. At the time of Mother Mectilde de Bar, the avenues of ecclesiastical jurisdiction were exceedingly complex. 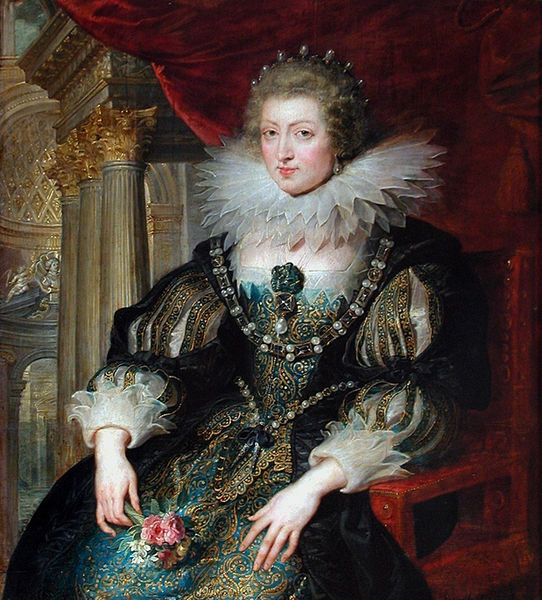 Given that Mother Mectilde and her little community were living in the territory of the Abbey of Saint-Germain-des-Prés in Paris, she needed, first of all, to secure the permission of the (secular) abbot of Saint-Germain-des-Prés, the natural son of Henri IV, who was the Duke of Verneuil, and the holder of the bishopric of Metz. In the meantime, the Abbé Picoté learned of Mother Mectilde’s project. Struck by the affinity between the vow he had made in the name of the Queen and the foundation that Mother Mectilde desired to undertake, he spoke of it to the Queen on 8 December 1652 while the latter was in retreat at the Benedictine abbey of Val-de-Grâce. The graces of the retreat must have been powerful because he found the Queen well disposed. In execution of her vow, the Queen ordered the Duke of Verneuil to authorize the foundation in his territory of Saint-Germain-des-Prés. The Duke-Abbot immediately entrusted the whole affair to his Vicar General, Dom Roussel, a Benedictine of the Congregation of Saint-Maur, and the prior of Saint-Germain-des-Prés. Mother Mectilde and her community now found themselves under the authority of the prior of Saint-Germain-des-Prés. From all accounts, Dom Placide Roussel was anything but placid, in spite of his name. A Benedictine of the Congregation of Saint-Maur, Dom Roussel was a difficult man: legalistic, pessimistic, stubborn, and authoritarian. He had the talent of seeing difficulties where no one else could see them. More than once, Mother Mectilde and the Countess de Châteauvieux returned completely discouraged from a meeting with Dom Roussel. To a friend, Mother Mectilde wrote, “We were to see the Reverend Father Prior who, as much as possible, turns everything upside down.” Dom Roussel required that Mectilde purchase land to build a future monastery and that she collect a large sum of money to assure the upkeep of a community of five. His exigencies blocked the establishment of the monastery at every turn. Mectilde held her peace; she prayed, did penance, and waited. On 24 March, 1653, in response to an intervention by Madame de Châteauvieux, the formidable Dom Roussel surprised Mother Mectilde by sending her a message authorizing exposition of the Most Blessed Sacrament for the following day, the feast of the Annunciation. Benefactors of the monastery had previously provided a chalice, paten, monstrance, and thurible, so that all would be in readiness once the long-awaited permission came. On the feast of the Annunciation, then, 25 March 1653, Holy Mass was sung in the Oratory of the house, and the Most Blessed Sacrament was exposed in the monstrance. Alerted at the last minute, a considerable number of the faithful attended the celebration. During Holy Mass, Mother Mectilde saw the Most Holy Virgin Mary, clothed in the raiment of an abbess, and holding the crosier in her hand. Our Lady presented the nascent community to Jesus the Host, as victims offered to His Eucharistic love. Even today, the Benedictines of the Most Holy Sacrament consider this feast of the Annunciation 1653 as the first solemnity of perpetual adoration of the Institute. Mother Mectilde wrote to Madame de Châteauvieux, “All that paradise loves and adores, I now possess, thanks to you”.